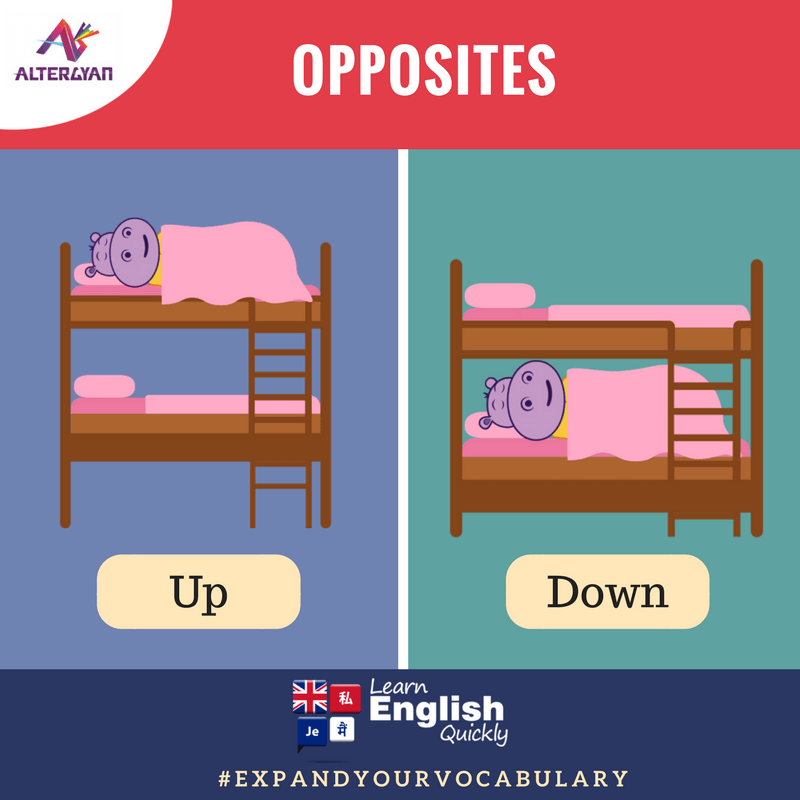 Antonyms are words that have exact opposite meaning. They have contrary different meanings. 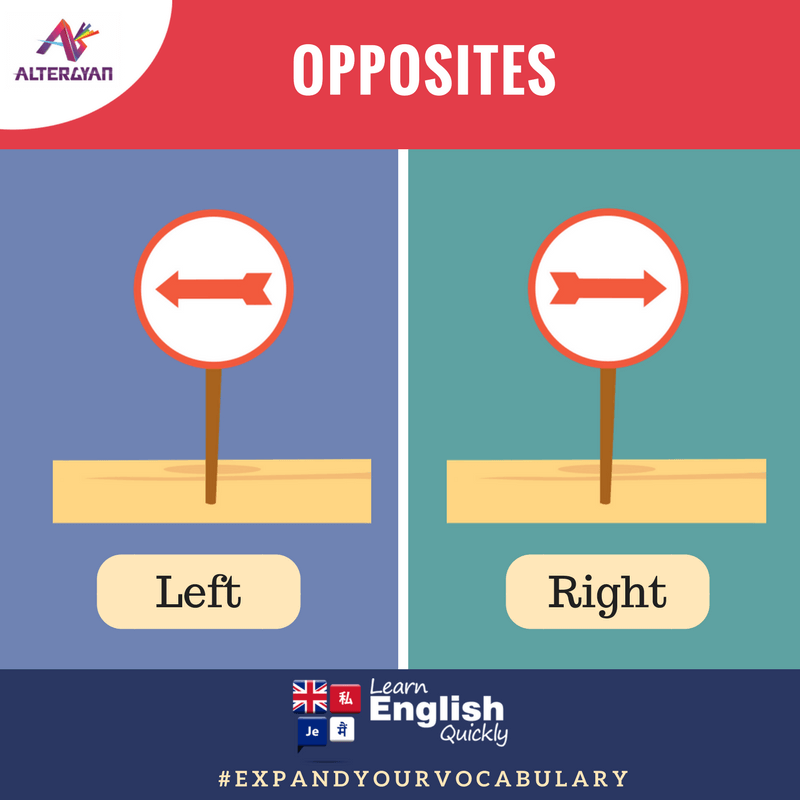 In common English, they are also known as Opposites. Let’s take a took at 5 simple English antonyms in English Grammar. 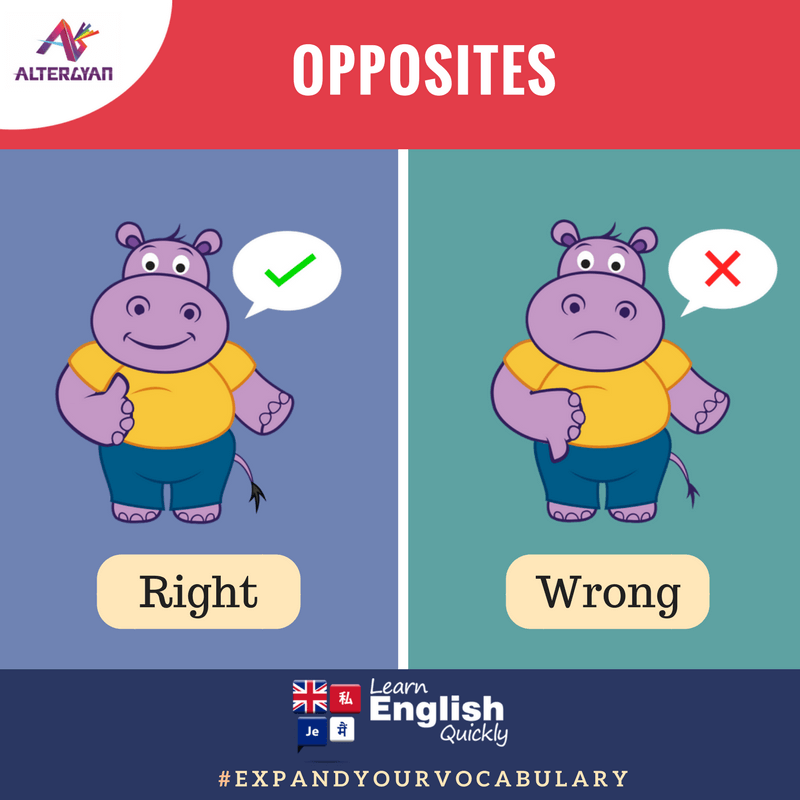 Learn English Quickly app can help you expand you English vocabulary even more. The app includes 1500+ words and phrases in English language and provides translations into English in various other regional scripts, including Hindi, Marathi, Gujarati, Telugu, Tamil, Kannada, Malayalam, Urdu, German, French, Malay, Portuguese and Chinese Traditional Language). It offers various other features like, quizzes and flashcards. You can also add words and phrases to the app by recording it in your voice and providing the translation for the same. 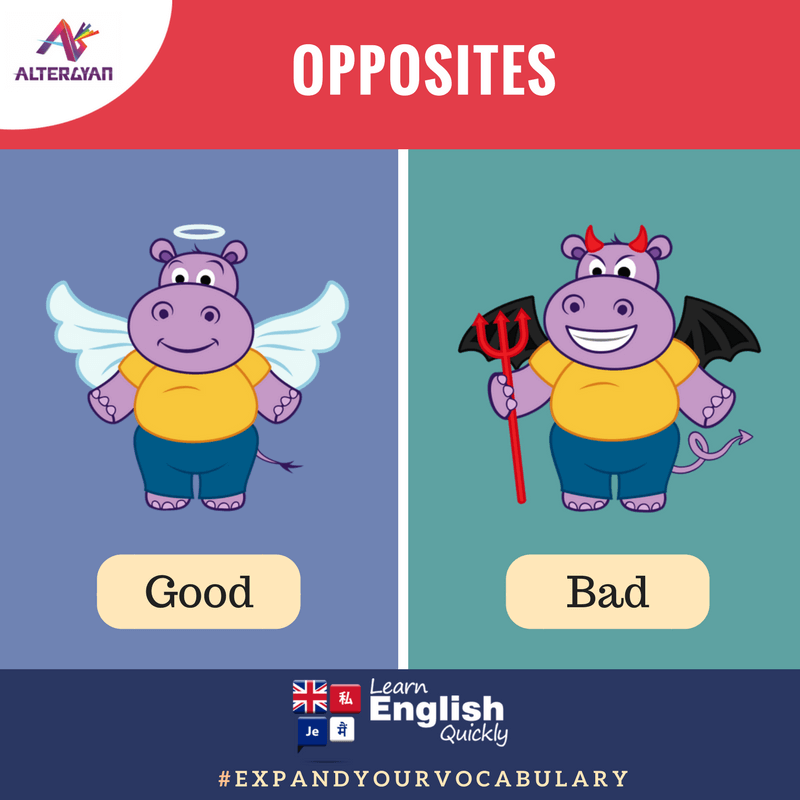 Stay tuned for more English opposites next week. 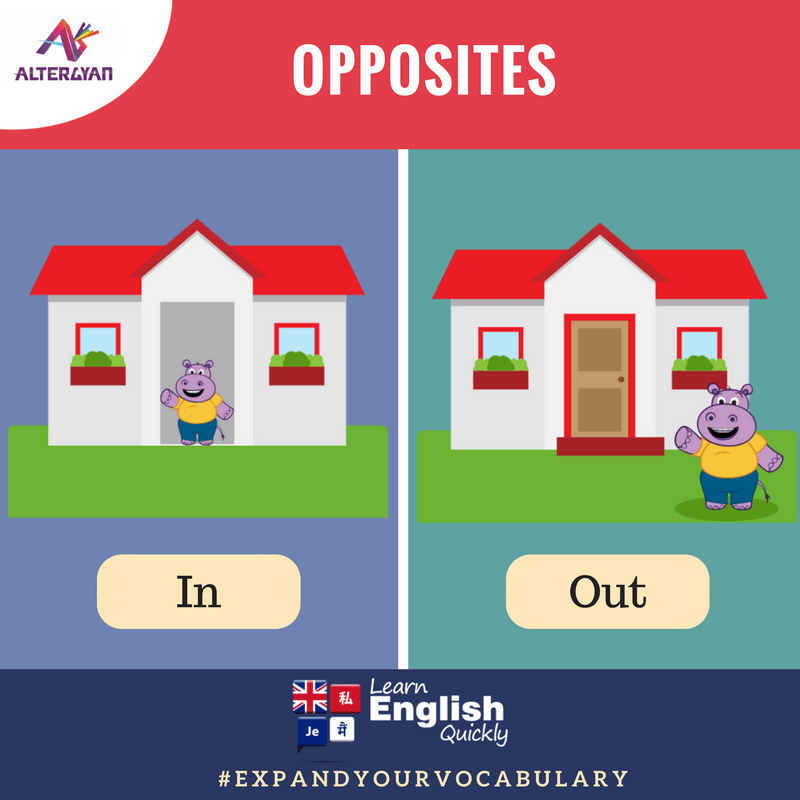 Till then, let us know the antonyms you know in the comment section below.